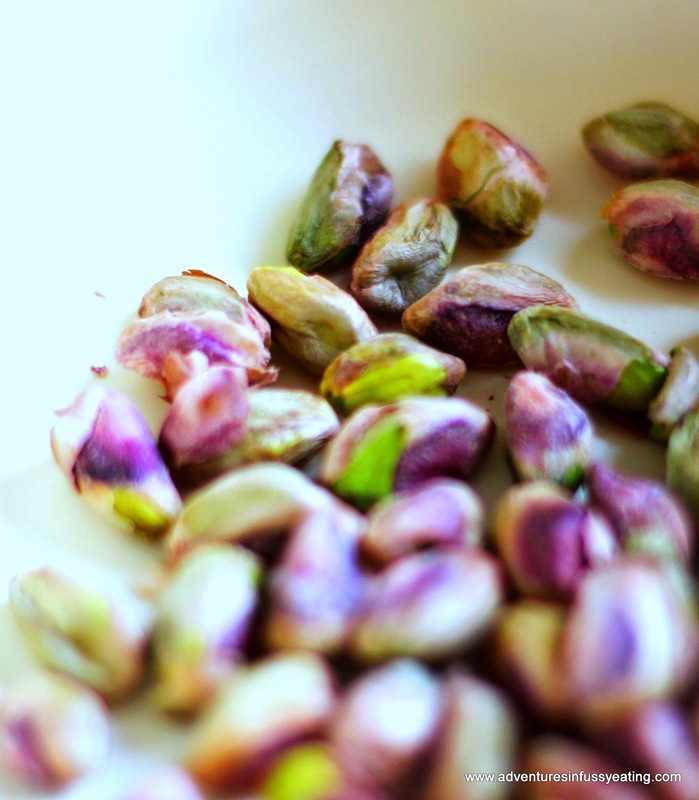 I adore pistachios; their vibrant colour and sweet, mellow taste are just irresistible. In fact if any menu offers even a hint of the nutty little gems, I'm sold. I made this Middle Eastern inspired Pistachio & Rosewater cake for a 'friends with babies' get together last week. It's a definite crowd pleaser, especially for the girls, as the subtle rose water and deep, earthy bite of the ground pistachios go so well together. The background spice of cardamon adds a delicate and grown up feel to the cake too. The English Provender Company sells rosewater and you can usually find it in most supermarkets. A glass bottomed 23cm cake tin is ideal for this - if you don't have one you can use normal sandwich tins and serve each cake slice separately as it's so sweet. 1. Preheat your oven to 170degrees. 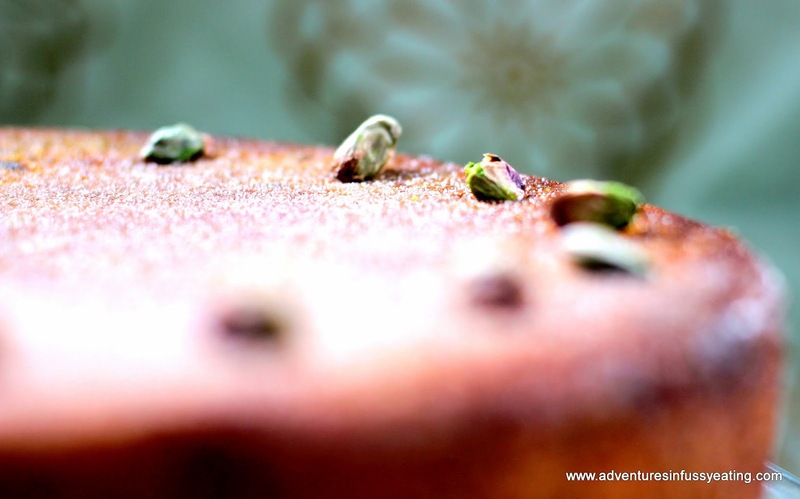 Put the pistachios and cardamom (seeds only) into a food processor and grind to a powder, although a little texture will still be delicious and add some crunch to the cake. Add the ground almonds, polenta, baking powder and salt and mix again. 2. In a large bowl, beat the butter and sugar until pale and fluffy. Add the egg and beat in well. Mix in the dry ingredients, then add the lemon zest and juice, rose water and vanilla. 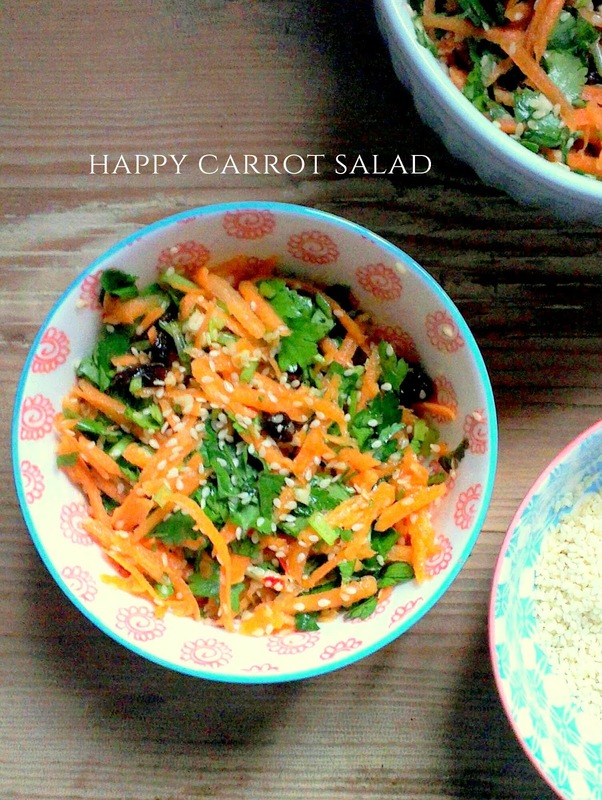 Add to your tin (the recipe calls for you to line it but I didn't and it turned out easily). Bake for 50 mins - 1 hour or until a cocktail stick comes out clean. 3. To make the syrup, put all the syrup ingredients in a small pan, bring it to the boil to dissolve the sugar and remove from the heat. 4. When the cake is ready, take it out from the oven and while it's still hot, spoon all but 4tbsp of syrup over it. Allow the cake to cool then take it out of the tin. 5. Add a pistachio to mark out the slices (as per pic above), when you're ready to serve, slice the cake and drizzle a little of the remaining syrup on each portion.